Surrounded by both mountains and sea, Noumea moves to the beat of its unique cultural mix, rocked by the trade winds (usually between 20-40 km/h). The different communities live side by side, meeting and mingling in the “little piece of France in the Pacific”. 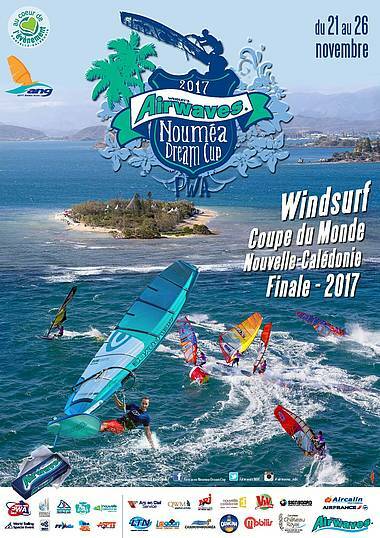 The most famous windsurfing spots belong to Anse Vata beach which is the tourist centre of the capital, with its Aquarium, Casinos & large hotels, where both locals and international travelers come to stroll among fashion boutiques and trendy bars. From there, the playground is immense and magnificent : by taxi boat, or even windsurfing, you can navigate from the beach to the islets – avoiding disruption of marine wildlife & protected species like turtles, rays & also dugongs and dolphins among the most admirable species.